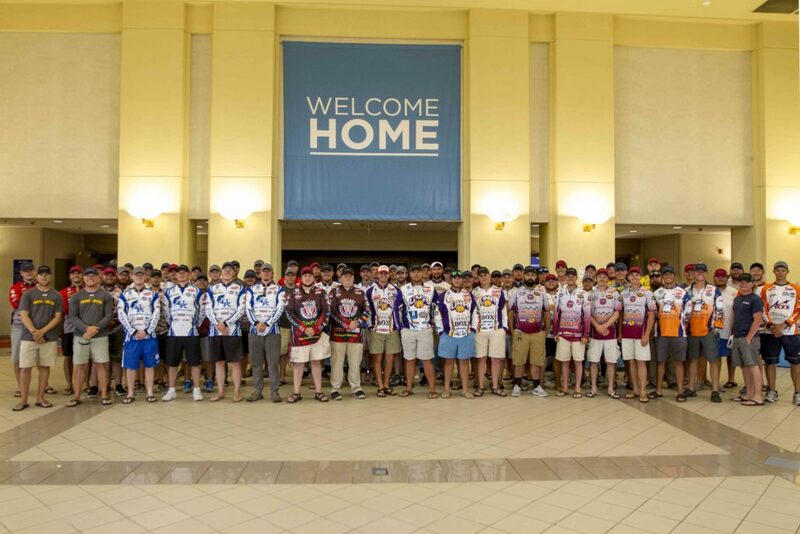 At the recent BoatUS Collegiate Bass Fishing Championship presented by Cabela’s, six teams qualified to win Cabela’s gear packages based on their finishes on Lake Pickwick. Finishing 2nd place and 3rd place overall in the national championship event was Nathan Bell and Cole Sands from Bryan College and Triston Crowder and Lake Blasingame from University of North Alabama. Those finishes earned these four anglers a Cabela’s Top 3 gear package consisting of a full set of Guidewear Advance Outerwear, PFD and Rod, as well as the opportunity to interview for a spot on Team Cabela’s Pro Staff. Finishing in 4th, 8th and 9th overall in order were the teams of Hunter Sales and Tristan Stalsworth from Carson-Newman University, Sloan Pennington and Hunter McCarty of the University of North Alabama and Joe Bardill and Jordan Hartman from Murray State University. Those finishes earned them a Cabela’s Top 10 gear package that consisted of a Cabela’s Rod and PFD as well as opportunities to interview for a spot on Team Cabela’s Pro Staff. Rounding out the Team Cabela’s program winners was the 12th place team of Garrett Turner and Austin Poston from Tennessee Tech University. They received the Top 20 gear package that consisted of a Cabela’s Rod. Cabela’s has long been known as supporter of college fishing since its inception. Last fall, the company brought back its popular discount purchase program for collegiate anglers as well as expanded its one of a kind angler contingency program, Team Cabela’s, for the 2018 Cabela’s Collegiate Bass Fishing Series events. “It provides great opportunities for young anglers to enjoy the sport they love in a fun and competitive environment,” said Lara Herboldsheimer, brand partnership program manager for Cabela’s. The Cabela’s Angler Contingency Program was created for teams and anglers to qualify for additional prizes if they finish in the top 10 at the Texas Lunker Challenge presented by Mossy Oak Elements or at the Cabela’s Collegiate Big Bass Bash presented by Berkley. For the Championship, 50 teams (100 anglers) had the chance to win one of 3 gear packages – Top 3, Top 10, or Top 20. “The Cabela’s Contingency program is another great program to support collegiate anglers and the sport of college fishing. The program has been a hit with the anglers as they worked to become a part of Team Cabela’s for the 2018 season,” said Wade Middleton, Director of the ACA and President of CarecoTV. Don’t Miss Out on Sunline’s Discount Offer for Collegiate Angle... Series to Premiere on Discovery Channel on July 8th!